Raven is approx. 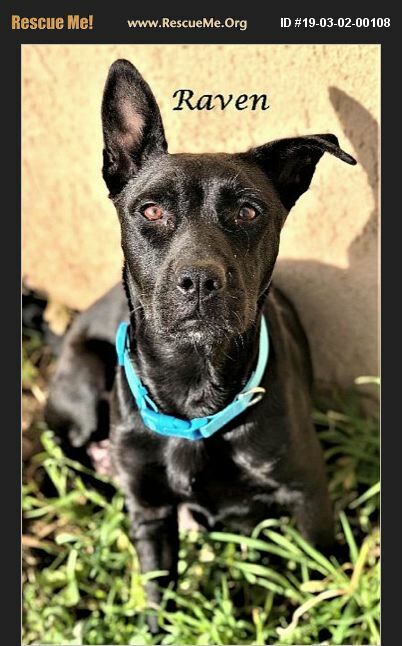 2 yrs old Gorgeous Black Female German Shepherd/Pit mix. She was found as a stray pregnant back in January & rescued from the shelter the day before she gave birth to 10 beautiful puppies on 01/15/2019. Most all of her puppies have been Adopted & going to new homes soon. Raven is a very sweet girl & was a great momma. She is house trained, good with kids & adults, good with most dogs, do not know how she is with cats. She is current on vaccinations, but will need to spayed & micro-chipped. Raven has so much love to give and is looking for her Forever Home!! !